Announcement ⭐️⭐️⭐️⭐️⭐️"Absolutely amazing product!! This keepsake was exactly the way I had envisioned it to be! It made an awesome heartfelt gift to my best friend to memorialize her beautiful mother who passed away way too young. Highly recommend this shop to everyone!" - Chelsea B. ...just one of over 5,200 5-star reviews for Rosie's Design Studio. Rosie's Design Studio (home of Rosie's Pendants) is a small family-run business specializing in beautiful jewelry and gifts. All items are made to order by my husband and myself in our Southern California studio. We will take the utmost care in creating your special keepsake to insure that it meets our exceptionally high standards. Our items are the perfect for commemorating the special times of your life including weddings, anniversaries, birthdays, baby showers, pregnancy reveals, family reunions, memorials, holidays - and "just because". We would love to create something special just for you. The majority of items in our shop feature OUR OWN ORIGINAL DESIGNS...these listings display the mark "Rosie's Design" or "Rosie's Original Design". We use only pure, PREMIUM QUALITY GLASS and/or PREMIUM QUALITY resin (in some pieces) that protect and enhance the artwork beneath. The artwork is professionally printed on archival textured paper and carefully affixed, by hand, to the glass dome using an artisan glaze that gives the final piece a beautiful luster. All of the metal components used in our jewelry and gift items are lead, nickel, and cadmium-free. ANY DESIGN IN ANY SETTING! Want a design that you see in our shop in something other than what is shown in the listing photo? Any design you see in our shop can be made onto any of our setting offerings: pendant necklace, key ring, bracelet, brooch, bookmark, hair/bobby pin, money clip, bottle stopper, fan/light pull, Christmas ornament, golf ball marker, bottle opener, or cufflinks. CUSTOMIZE IT! Looking for something REALLY unique? Allow us to create something JUST for you - CUSTOM ITEMS ARE OUR SPECIALTY! 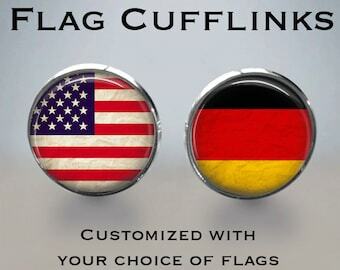 Drop us a line with your idea for your own customized item and we will make it happen. 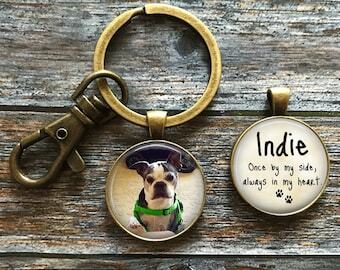 Additionally, we have numerous designs that can be personalized just for you! 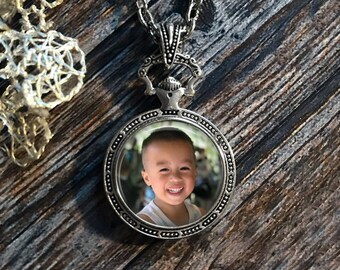 For customized items, we will skillfully edit your photos and other images, re-size, and secure them under glass for you that results in a finished piece ready to wear or give as a gift. QUANTITY DISCOUNTS: Yes! 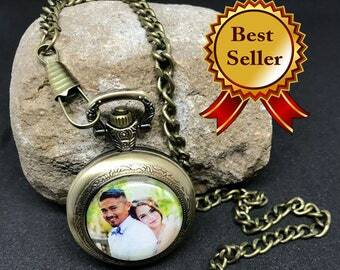 Please inquire about quantity discounts for multiple pendants, group gifts, weddings, etc. FOLLOW US ON FACEBOOK and INSTAGRAM to be the first to hear of our upcoming sales and to receive exclusive coupons! 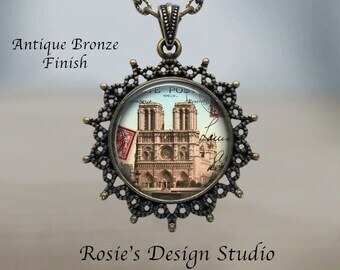 RosiesDesignStudio on both platforms. ⭐️⭐️⭐️⭐️⭐️"Absolutely amazing product!! This keepsake was exactly the way I had envisioned it to be! It made an awesome heartfelt gift to my best friend to memorialize her beautiful mother who passed away way too young. Highly recommend this shop to everyone!" - Chelsea B. ...just one of over 5,200 5-star reviews for Rosie's Design Studio. Very happy with the necklace. Quality is great, shipping was fast, and it was packaged very nicely. This is perfect my wife will love this! All Christmas ornaments 20% off through October 21st! 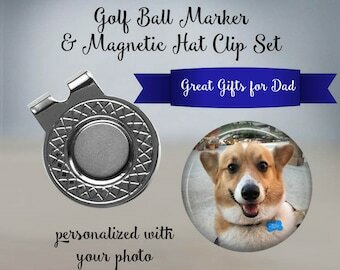 Our youngest Corgi, Dweezil, is featured on our personalized golf ball marker. Let us put YOUR pet on one today! 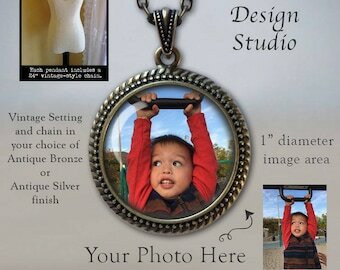 Preserve a treasured family photo in my beautiful oval pendant necklace. Made of pure glass, artisan glaze, and quality metals to last a lifetime. 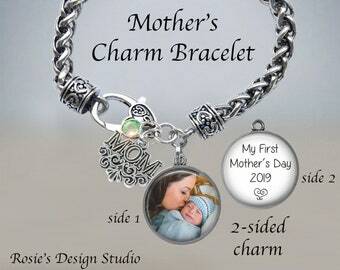 We specialize in handwriting jewelry and gifts! We offer more than just pendants! My husband and I are a "later in life" Match.com story: two suddenly-single Baby Boomers searching for new life partners. We were both a bit nervous about starting over (especially at our ages), but were fortunate to connect our kindred spirits through the wonder of technology. Finally, a perfect match made...ONLINE! It was love at first email. We enjoy spending time together so we decided to tinker around with ideas for a joint hobby that MIGHT also bring in a bit of extra income, to boot. We both have backgrounds in the creative world (my husband is retired from a successful career in the motion picture/TV industry and I was the merchandise buyer and retail sales manager for a major Southern California theme park). We came across Etsy and thought that we could give it a shot and start an online business...why not? 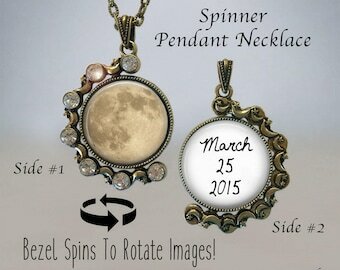 We opened our first Etsy shop "Rosie's Vintage Prints" in 2011, and then "Rosie's Pendants" in June of 2013. We started our jewelry shop out by offering hand-created pendant necklaces, but we soon expanded to other jewelry items, accessories, and gifts. 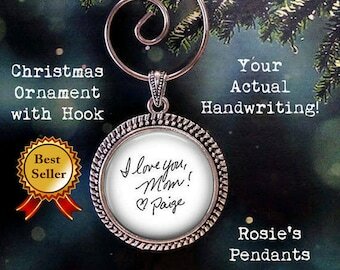 To our amazement and delight, Rosie's Pendants became so successful that I quit my day job, and hubby had to come out of retirement to focus our energies on our Etsy businesses. We've been featured on ABC News, HGTV, Buzzfeed, Lifetime TV, and Brides.com, and our items are carried in numerous gift shops across the country including the Edgar Allan Poe Museum, and the Seattle Public Library. We also have a following of celebrity customers who love our creations. Our original Etsy shop, Rosie's Vintage Prints, is still going strong and features giclee art prints of vintage travel posters and advertisements, Ziegfeld Girls, Hollywood starlets of a bygone era, and vintage pinup girls who find their way to our studio for a little "work" and leave as "new women" ready to be adored by a new generation. Any of our prints can be crafted as a pendant or other accessory or gift - please ask! We also love to create custom orders (prints, jewelry, and accessories) for those who are looking for that personalized gift. We work out of our home-based studio in Fallbrook, California - the "Avocado Capital of the World" - located in the most northern portion of sunny San Diego county. When we are not busy tending to the business, we enjoy traveling, and spending time with our grown children, grandchildren, and two Corgis. We think that it's pretty cool (Baby Boomer speak) that we two "slightly vintage" folks are able to make a living doing something we both love, making other people happy..and doing it all ONLINE! Thank you for stopping by and reading our story...we look forward to making something special just for you. Welcome to my razzle dazzle pendant store! It is my pleasure to provide you with some unique and fun jewelry items and accessories to brighten your world. If you have any questions regarding my items or service, please feel free to contact me. REFUNDS/EXCHANGES - If you are not satisfied with your purchase, please contact me ASAP (within 3 days of delivery) and I will be happy to issue a refund upon return of the item(s). NOTE: This applies to non-customized items. 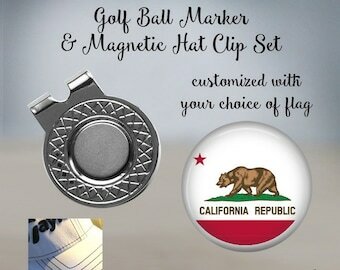 Customized items cannot be returned unless they are damaged, defective, or incorrect due to an error on my part. If the item(s) is/are damaged in transit or is/are defective, I will send you a replacement free of charge upon return of the damaged item(s). I will pay shipping costs for damaged/defective items to be returned to me. If the item is not damaged or defective and you would like to exchange your non-customized item for a different item, you may return the item(s) to me, within 30 days of purchase date, and I will send a different item upon receipt of the original item(s). Shipping costs (for both the returned item and replacement item) are the responsibility of the buyer for exchanges. I'm sorry but I cannot provide a refund, or exchange, for items that have been exposed to water (my items are not waterproof), abused by the wearer/user, or have been in the customer's possession for over 30 days past the purchase date. CUSTOM ORDERS - Custom orders are non-refundable unless an error was made on my part or if the item is defective or arrives damaged. BUYER REMORSE/CANCELED AFTER SHIPPED - If you change your mind about an order while the package is in transit to you, please contact me. When the order arrives, you must refuse the delivery without opening the package and return it to your local post office. 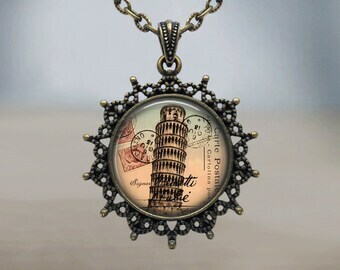 Once the package is returned to me, I will issue you a refund for the price of the pendant(s) minus the shipping cost. Custom orders are non-refundable and do not qualify. CONTACT ME - If you aren't happy with your order, for whatever reason, please send me a message on Etsy. I happily accept Paypal and Visa/Mastercard/American Express/Discover/Apple Pay and Etsy Gift Cards via Direct Checkout. 8.00% sales tax is added to purchases made within the state of California. As I am currently away from my studio on vacation, my current production time is approximately 4 weeks from the date of order to the shipping date, provided there are no questions regarding style, color, mailing address, or other delay due to additional communication between seller and buyer. PHOTO ITEMS: If I do not have your photo I cannot complete your order! Please send me your photo(s) after making your purchase. Custom orders may require extra time and will ship upon completion. If you are paying by eCheck, there is a waiting time of about 5 days after the payment has been sent/received before I can ship since this method of payment must be "cleared". HOW LONG TO ARRIVE FROM TIME OF SHIPPING? US ORDERS will, most likely, arrive within 3-6 days the date that I ship your package; holidays and/or weather conditions along the package's route may extend the transit time. Please understand that I have NO CONTROL over the operations or expediency of the US Postal Service - therefore I cannot guarantee delivery by a certain date as shipment delays within the USPS are out of my control i.e. weather, natural disasters, holiday schedules, etc. I cannot provide any more helpful information regarding transit delays or mysterious/absence of tracking information that may occur with a package other than what is provided for a package on the USPS package tracking website. I ship via USPS First Class Mail. Upgrade to Priority Mail is available for an additional $5.00. Please note that the Priority Mail upgrade does not automatically bump your order to the front of my production line - it only expedites the shipping time with the US Postal Service. SHIP TO - I ship to the address that Etsy currently has on file for you. If you have multiple addresses on accounts (PayPal vs Etsy) please do confirm your order has the address to where you want the package to ship. If you need the package to go to a different address than the one that you submitted with your order, please include that address in comments at check-out or send me a message through Etsy. If I ship to the address you list on Etsy or Paypal, and the package is returned to me as non-deliverable, you will be responsible for any additional shipping charges plus the cost to reship to you again. If the tracking shows the order was delivered to the address on the account, but was never received, replacements may be sent (no refunds) on a case by case basis. I require a minimum of 5 business days waiting period from the time the item was marked as delivered for further investigation. SHIPPING CARRIER - The US postal service is my primary carrier and I use First Class Mail and First Class International Package Mail services. US customers may select Priority Mail service for an additional fee (please understand that this option does not automatically bump your order to the front of my queue - it only expedites the shipping time). US customers will receive a tracking number once their package has shipped. All non-USA destination orders are shipped via the US Postal Service. Please note that there is very little tracking information or delivery confirmation for most international packages - depending on the country to where the package is shipped. MISSING, LOST, OR STOLEN PACKAGES - If you suspect your package to be missing, please do ask your carrier, your local post office, other members of your household, and your neighbors to see if they mistakenly received your order or have any useful information. If the USPS tracking information indicates that a package has been successfully delivered to your address and you cannot locate the package, unfortunately I cannot be responsible for replacing or refunding your purchase price and/or shipping costs. If you would like to place another order, it would be at the price you had originally paid for the item(s) plus shipping charges. Please note that I cannot file a claim on my end with the USPS for a "missing" or "stolen" package that has been tracked as successfully delivered - this would be something that you, the customer, would need to do at your local post office. It is also recommended that you file a report with your local police department to alert them that there may be mail theft occurring in your neighborhood as mail theft is a federal offense. INTERNATIONAL CUSTOMERS may want to contact their local import authorities if your package has not arrived within a few weeks after shipping to see if the package is being held for customs/duty fees payment. Packages may be returned/destroyed after a period of time if they are not claimed. Please note that I cannot be responsible for unclaimed packages that are either returned to me or destroyed due to inaction of the buyer. UNDELIVERABLE AS ADDRESSED - If the address you provided is not correct, or the recipient no longer resides at the address provided and your order is returned to me, your order will be canceled and you will receive a refund for the price of the item(s) MINUS the shipping cost. You may repurchase the item(s) if you would like and you will need to pay another shipping fee to have the package re-sent to another address. DELIVERED TO AN INCORRECT/OLD/OUTDATED ADDRESS - I cannot be responsible for items successfully delivered to an incorrect/old/outdated address. If you provide an outdated/incorrect address and the item is either successfully delivered to that address (showing as "delivered" in the tracking information) or is lost in the mail (not returned to me) I, unfortunately, cannot provide a refund nor can I send another item to you free of charge. Bottom line: PLEASE BE SURE TO UPDATE YOUR SHIPPING ADDRESS WITH ETSY (AND PAYPAL) IF YOU MOVE! I ship all international orders via USPS First Class International Mail. On January 17, 2016, the US Postal Service significantly increased charges for international parcels shipping from the USA to international destinations. My shipping charges for international packages cover the actual mailing cost. INTERNATIONAL SHIPPING TIMELINES: PLEASE BE PATIENT as a package may take as little as 7 days from the time it leaves my studio, as long as several weeks, or a month or more (on rare occasions) to reach an international destination. Delays are to be expected during higher-volume mailing periods, such as the Christmas shopping season. Delays at your country's import customs office are not uncommon and please understand that I have no control over any resulting inconvenience from them. PLEASE NOTE that I can only track your international package up until the time that it leaves the US. Depending on the destination country, is not possible to provide updates until the package has cleared your country's customs. Tracking for most countries outside of the European Union will not show any information regarding transit within the country or delivery confirmation. If you really want a tracking number/insurance you will have to pay quite a bit extra for International tracking services - please convo me for more information. CUSTOMS FEES/IMPORT DUTIES/VAT TAXES - IMPORTANT! Due to the nature of international online sales, when ordering items from my shop for delivery overseas, you may be subject to import duties/fees and taxes which are levied once the package reaches the specified destination. Any additional charges for customs clearance or local taxes must be borne by the customer; I have no control over these charges and cannot predict what they may be as customs policies and taxes vary from country to country. My shipping prices DO NOT INCLUDE THESE FEES. Please contact your local customs office for further information BEFORE YOU PLACE AN ORDER. PLEASE NOTE that orders with a value of over $25 USD may incur a customs fee of 50% of the value in countries within the EU (including the UK). If a customer fails to pay duties and/or taxes/fees levied by their country's customs office, their package will be returned to us. Upon receipt of the package, we will provide a refund for the original purchase price MINUS the original shipping fee. Patience is necessary for international orders as it may take weeks, or possibly a month or longer, for some packages to reach their destinations. If, after 30 days from shipping date, you have not received your package, please contact me and I will file a claim and send another item to you. I'm sorry but I cannot send a replacement item until after 30 days have lapsed from the shipping date due to possibilities listed earlier (possible non-action by customer to pick up a parcel that has customs fees due, possible incorrect address, etc.). USPS will not allow me to file a claim for a lost package until 30 days have passed since the shipping date. CARE OF JEWELRY AND GIFT ITEMS: Our items are WATER-RESISTANT but NOT WATERPROOF! Submerging in water can damage jewelry. Please remove before showering, swimming, or washing dishes (bracelets). Clean by wiping with a slightly damp cloth. DO NOT use any chemicals to clean your jewelry or gift items. We recommend storing jewelry (especially silver plated) in an airtight container, such as a zip-lock baggie when not wearing to keep it looking it's best and to prevent tarnishing. 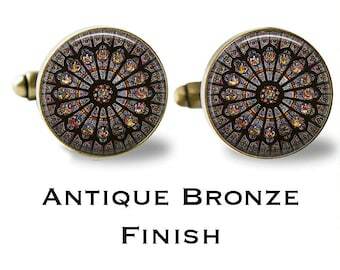 If tarnishing does occur, you can buff your item gently with a jewelry anti-tarnish cloth to remove it. 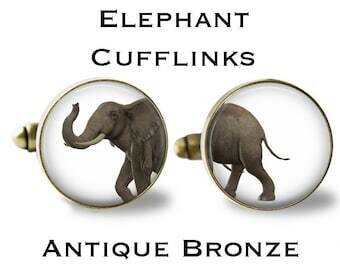 All of our jewelry items are nickel and cadmium-free. 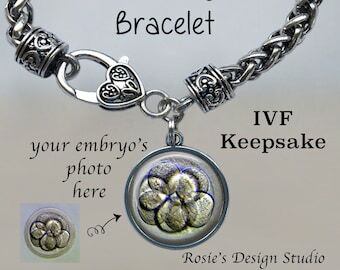 Rosie's Pendants is not responsible for any sensitivities one may have while wearing our jewelry. CHILDREN UNDER 3 YEARS: Items in our shop are not recommended for children 3 years of age and under as they may be a choking hazard. COPYRIGHT AND TRADEMARK - Images that we don't create ourselves are images that are in the public domain, are considered free use, labeled "for use with modification" or under "creative commons" licenses. Unintentional use of anything trademarked or copyrighted is something that we try to avoid at all times. Because rules and licenses are constantly changing, you may notice that some designs are removed or changed as we work to make sure everything in our shop is following current copyright/trademark laws. IMAGES/QUOTES/SAYINGS FOR CUSTOM ITEMS - Images submitted to us for use in custom items are the responsibility of the customer with regard to legal usage rights of said images. If you are asking us to design an item with images, poems, or quotes that you have found elsewhere, please let us know ahead of time as we may need permissions to do this for you. We will proceed if, and once, we receive permission. Thank you for your understanding. PROOFS FOR CUSTOM ITEMS - If requested, design proofs will be provided AFTER purchase of the custom listing. If you are not completely happy with a design proof, we will be happy to provide a refund and cancel the order. Custom orders that require (or are requested for) proof approval will proceed at my discretion after 48 hours if no response from the buyer is received. No cancellations will be accepted for custom orders once production has begun. PUBLIC FEEDBACK/RATINGS/CONCERNS: If you feel that your item or purchase experience is substandard, or if you have any other negative experience with your purchase/transaction, PLEASE contact us PRIOR TO posting a public review so that we can resolve the issue. We are customer-service oriented and want to make you, our valued customer, happy! You can contact us either via a message through Etsy or through email at RosiesDesignStudio [!at] gmail.com. CUSTOMER FEEDBACK/REVIEWS: We reserve the right to use and edit customer feedback/reviews for promotional and/or marketing purposes. QUALITY COUNTS - All of the items for sale in our shop are designed and created by myself and my husband, and are proudly crafted with great care in our smoke-free studio. We take utmost pride in our work and will not take short-cuts that lessen the quality of our designs and workmanship; We do reserve the right to improve upon a design which may not be shown in the listing. BUY WITH CONFIDENCE - Please read our feedback and you will see that our products and service are great! Please note that in addition to selling jewelry and accessory items on Etsy, we have also sold over 2500 Giclee art prints, with a 5-star feedback rating, through our sister shop, RosiesVintagePrints. If you would like to share any other personal information with me, by your own initiative ofcourse, besides your name and address I will certainly NOT share this information with others! But again, you don't have to share any other personal information besides your CORRECT AND UP TO DATE NAME AND ADDRESS. I will NOT share your name and address with any other third parties to assure your privacy. My shop items are being promoted on Google Shopping but I can guarentee that does not require me actively sharing your personal information with Google. Other than that I am not involved in other marketing activities.